I picked up these 20 minute sheet masks by Korean brand Refresh & Revive, from Home Bargains when out on a recent shopping trip with my sister for a bargainous price of 65p each! I've heard so much about sheet masks and the good they can do for your skin, so couldn't wait to give these a go. If you've not heard of them before, basically they are a pulp sheet which is soaked in a serum, each claiming to have different properties. Initially, they were an Asian skincare product, but they've now filtered down onto the UK high street. I used the Intense Perfection one, which claimed to improve skins radiance, vitality and moisture. The masks were very slimy feeling and were hard to unfold, but once on the face, they stay put with no movement and felt cooling on the skin. After about 20 minutes, when the mask started drying out, I removed it and gently massaged the product that was left, into my face. it absorbed quickly and my skin felt so much softer and hydrated. I didn't notice any extreme radiance boosting results, but my skin looked a lot better as any redness and scarring looked far more reduced. A few days on, and my blemishes seem to be less apparent and I've not had any new breakouts, which is great! I know this is not entirely down the sheet masks, but anything that gains improvement in my skin texture and tone gets my vote. 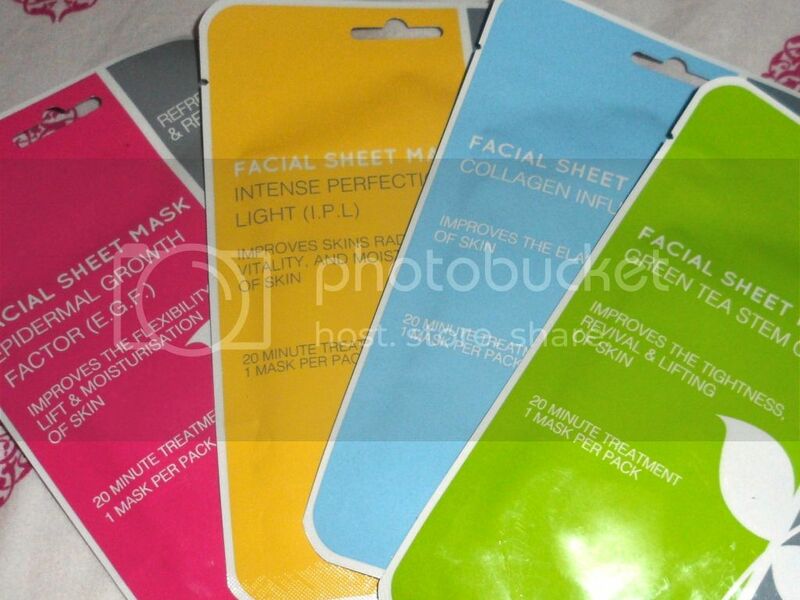 Have you tried out sheet masks before? Do you have any reccomendations?